A judge said an FBI agent who shot a bystander while dancing can carry a gun. 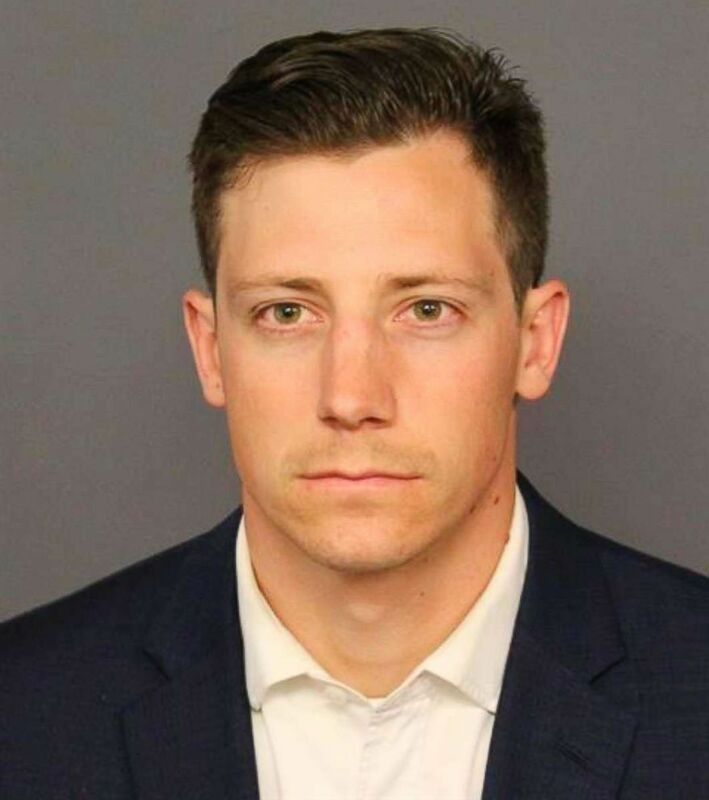 The FBI agent who accidentally shot a bystander while doing a backflip on a Denver nightclub dance floor was granted permission Tuesday by a judge to carry a gun while on- and off-duty. Chase Bishop, 29, appeared in a Denver courtroom for a hearing on a second-degree assault charge stemming from the June shooting at the Mile High Spirits and Distillery in downtown Denver. (KMGH) FBI agent Chase Bishop, 29, makes his first appearance in the Denver courthouse after he was charged with second-degree assault, June 13, 2018. Denver County Court Judge Fran Simonet granted Bishop's request to modify a protection order against him to allow him to carry his service weapon in accordance with FBI rules requiring agents to be armed while on- and off-duty. Bishop waived his right to a preliminary hearing. 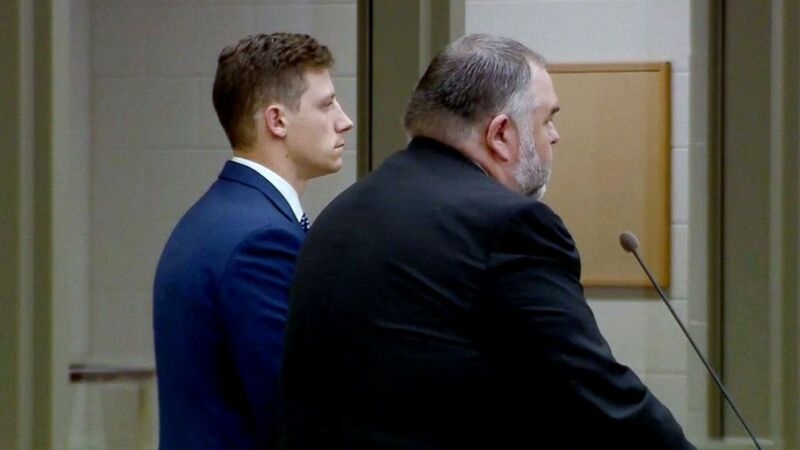 Prosecutors previously said Bishop could face additional charges pending toxicology tests, but a spokesman for the Denver District Attorney Office told ABC affiliate station KMGH-TV that the test results did not support further charges. (Denver Police Department via AP) Chase Bishop is seen here in a mugshot provided by Denver Police Department. During Tuesday's court hearing, Bishop's attorney, David Goddard, said prosecutors had offered the agent a plea deal but declined to elaborate when later questioned by reporters. Ken Lane, spokesman for the district attorney's office, would only confirm the existence of a plea offer. Bishop was partying at the Mile High Spirits and Distillery on June 2 when he started to show off his moves on the dance floor while his gun was hidden in his waistband. A cellphone video that has since gone viral on social media shows him suddenly doing a backflip and falling forward as his pistol slips out of his waistband. The gun went off when Bishop went to retrieve it. (KMGH) An off-duty FBI agent reaches to pick up his dropped firearm while dancing. It accidentally fired and struck a fellow patron. Thomas Reddington, 24, of Denver was sitting at a table near where Bishop was dancing and was hit in the left leg by the stray bullet. "It's bizarre. It's beyond bizarre," Reddington told ABC News last month, describing the incident. "It's beyond comprehension I think right now for me, just with all the factors involved." Bishop, who is stationed in Washington, D.C., surrendered to authorities on June 12 after a warrant was issued for his arrest in connection to the shooting. The agent remains free on $1,000 bond. He was ordered to return to court on Aug. 21.